I don't even know what happened to October, but it's come and gone and I had a few favorites I thought I'd share with you here on the blog. To start, October was technically my first favorite, as it's my favorite month and I'm sad to see it go. 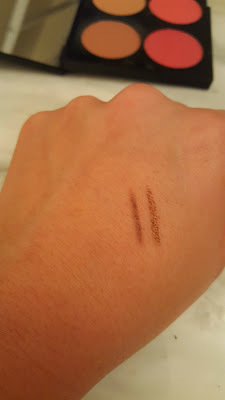 Another favorite is the Wet n' Wild gel eyeliner in the shade bronze. I shared a pencil version in a similar shade by the brand in my last post, so this is clearly a favorite. I use the e.l.f. Small Angled Brush to apply it and they work perfectly together. 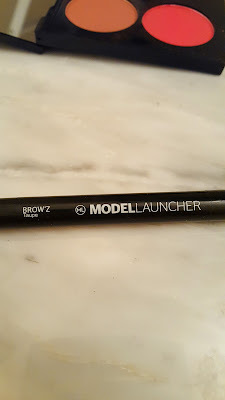 This Model Launcher wax eye pencil in Taupe was a gift from a sweet friend and I am in love. 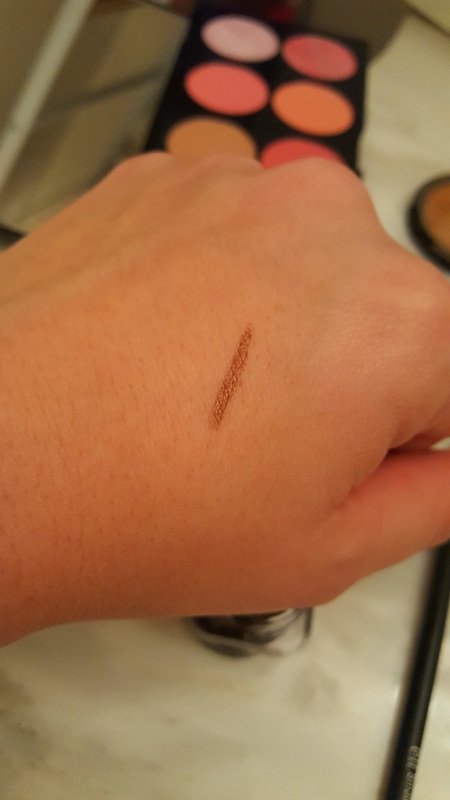 I forget how easy brow pencils can be, especially because this one is in a triangle shape so it's still precise but covers a lot of ground. It's definitely made doing my brows super easy this month. 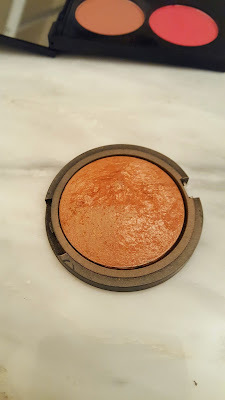 Just look how beautiful that bronzer is, even in pan! 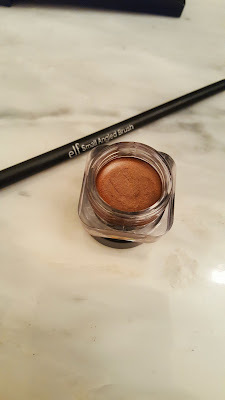 I love a great baked product and this bronzer by e.l.f. in the shade Bora Bora is so perfect for this time of year, when I'm not as tan. It's a gorgeous golden bronze and adds the perfect amount of color and warmth into my skin. 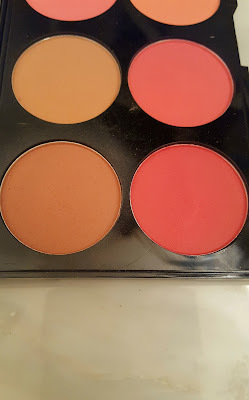 I've talked about this Makeup Revolution Ultra Blush Palette in a previous post but I'm especially loving these bottom two shades this time of year. 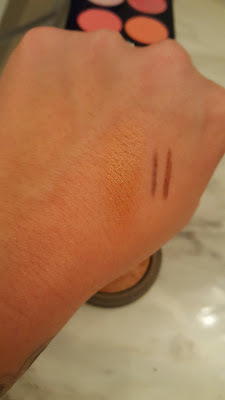 The one on the left is a neutral tan that adds life to the cheeks while still looking undone. The left shade, a beautiful berry pink, is perfect for a fall flush. The palette is in the shade Sugar and Spice. 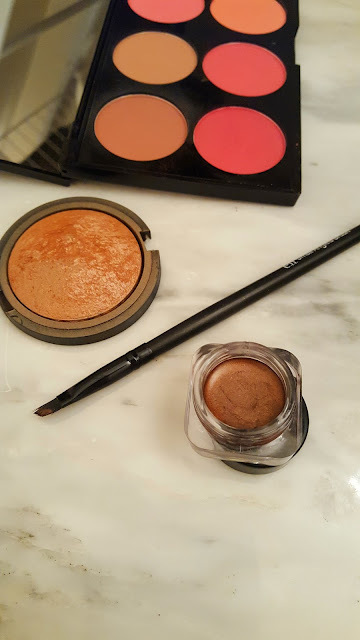 These are some really fab products! I don't know why, but in November I always want to try new makeup colours. Maybe because I've lost all my summer colour and feel like a ghost. Love these shades you picked! Hi my beauty!! So in love with that bronze liner and gotta love the price point! Hope your week is going wonderfully gorgeous pal!! 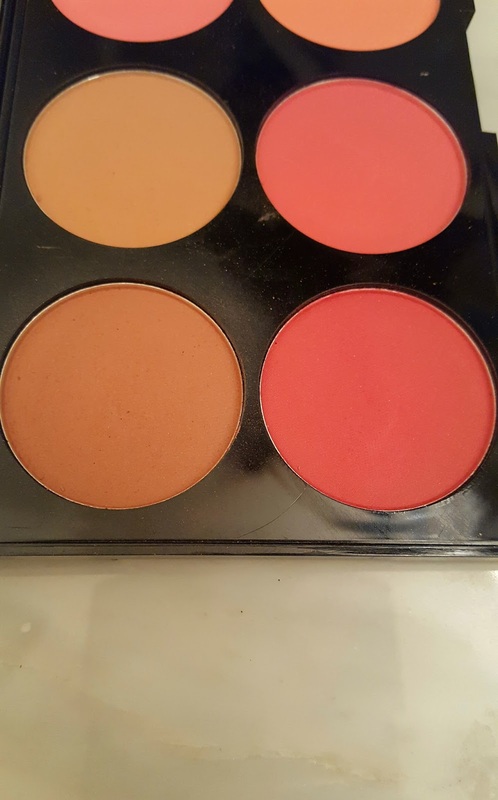 That blush palette looks great! I know what you mean, so hard to believe it's already November! These products look really lovely, can't believe that we're already in November - things seem to be moving so quickly!